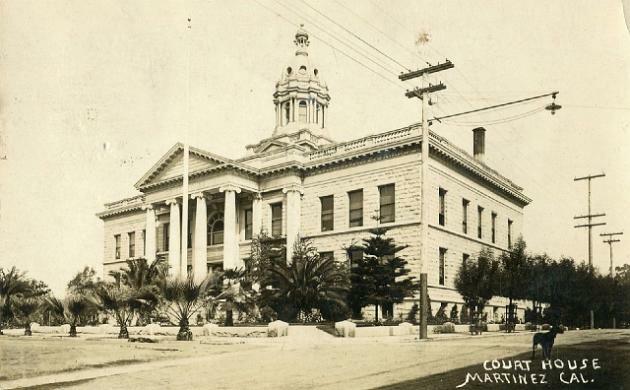 Martinez, Built in 1903, Arch- Havens & Toepke, Contr- Pacific Constr. 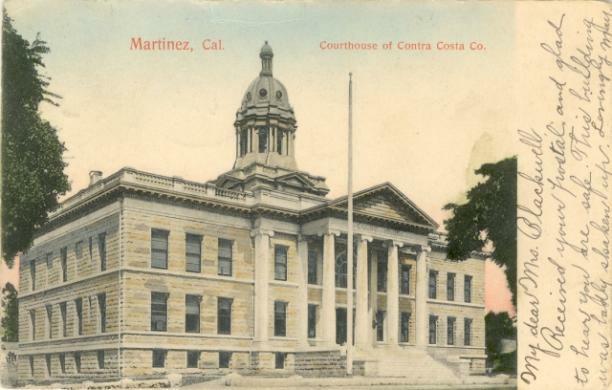 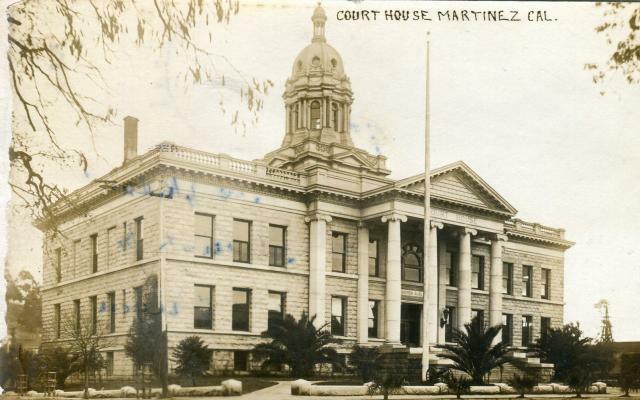 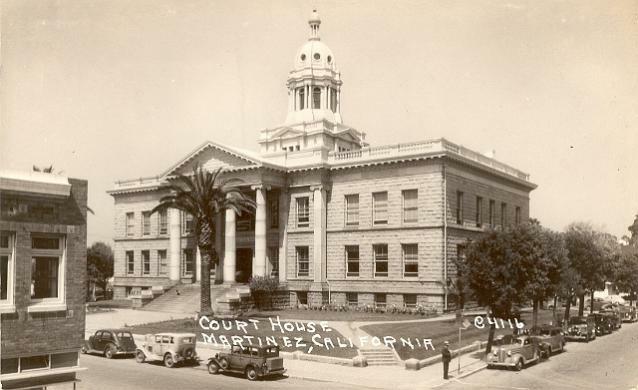 Co.
Martinez, Courthouse built in 1903 and present courthouse then Hall of Records built in 1932. 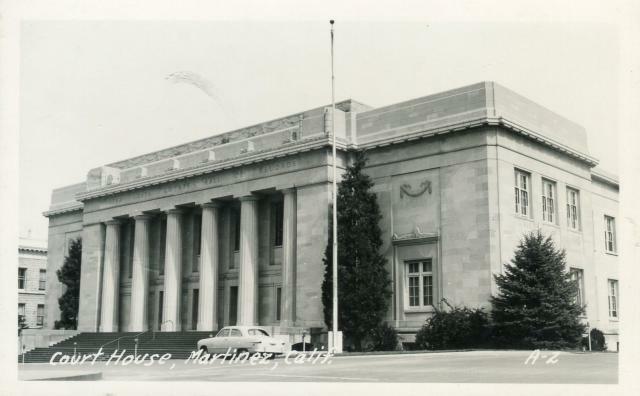 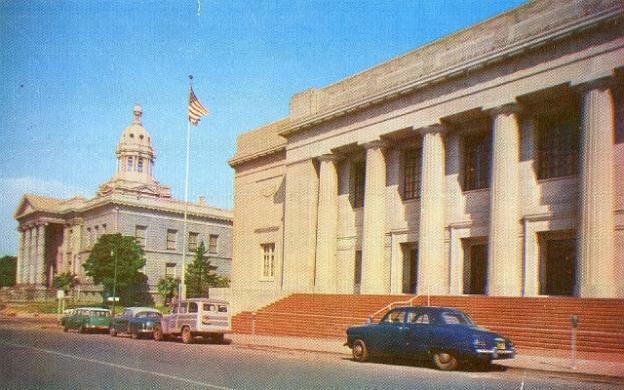 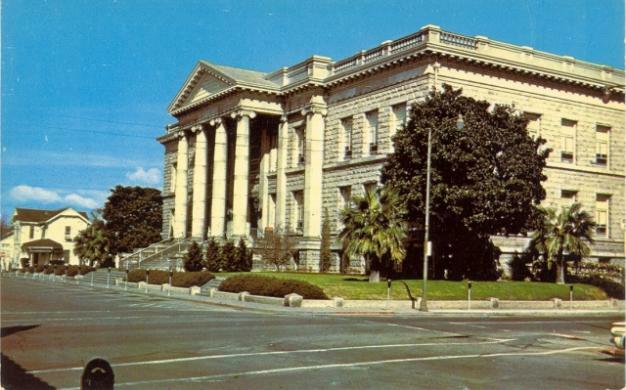 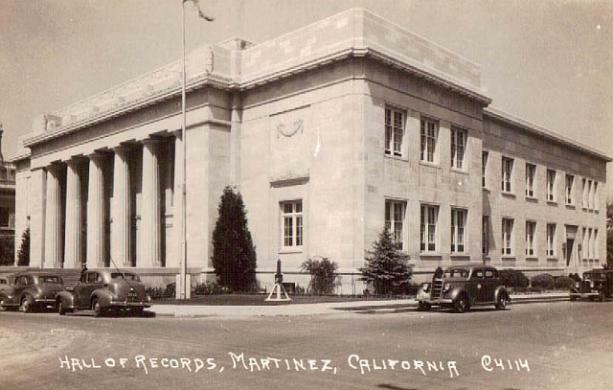 Martinez, In 1966 Hall of Records (built in 1932, Arch- Edward Geoffrey Bangs), used as courthouse.